On the night of the blood wolf moon, I stayed up late enough to watch the total lunar eclipse. It was a clear cold night, as close as we get in Houston to the crisp winter nights elsewhere in the country and the world. I walked out and sat on a wrought iron bench close to my condo. It did my heart good to see how many neighbors had also come on out to watch the eclipse. I even noticed a telescope on a balcony. It seems humankind still yearns for a connection with the heavens. The urge to look into the night sky and to wonder about the cosmos, and about our place in it, is well-nigh universal. I hope that urge never goes away. 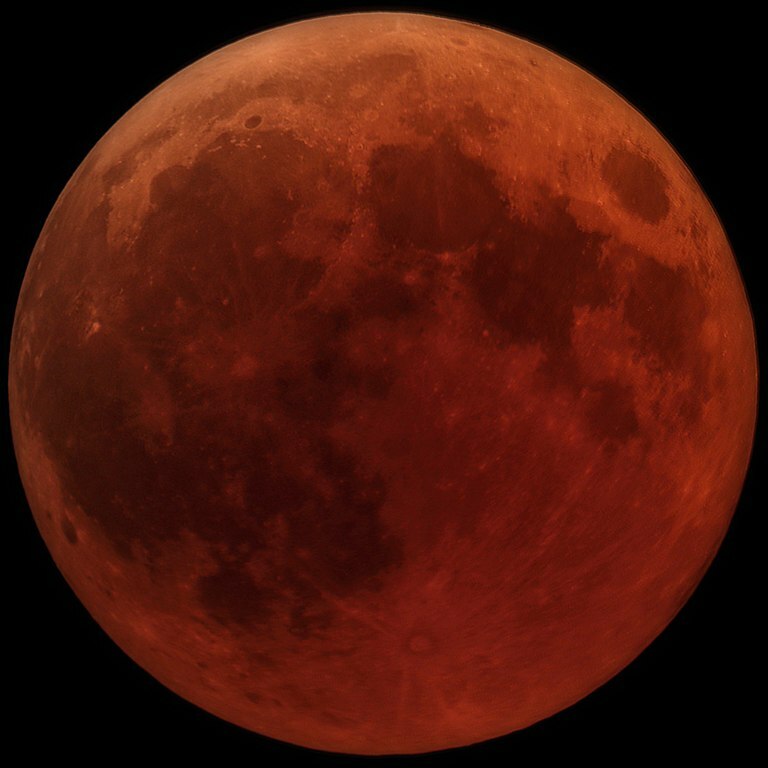 Tonight’s was the second of five eclipses forecast for 2019. The first was a partial solar eclipse visible from China about two weeks ago. This was fitting; at almost the same time as that eclipse, the Chinese lander Chang’e 4 successfully touched down on the mysterious far side of the moon. On board the lander was a science experiment that germinated a seed on the surface of the moon, albeit in a self-contained bubble. The seed sprouted, a tiny leaf dared poke its head toward the same Sun on which we all depend. The sprout withered and died during the long lunar night, but even so, there was something achingly universal about the plant and its brief but pioneering life: the seed was a cotton seed. What’s special and universal about cotton? According to the cotton growers’ trade group, on every single day, at some point every human being alive comes in contact with cotton. And so, as I and my neighbors gazed at the blood-red moon, and as our more distant neighbors across the Americas did the same, most of us with cotton something against our skin, we were watching the only other body in the universe known to have cotton. In what other unexpected ways are our lives woven together? How many other ways are we connected to each other, and to the physical world which clothes and nourishes not only our bodies, but also our spirits?